Post-screening conversation with journalist Phil Cox, Sudanese author Daoud Hari, producer Giovanni Stopponiand, and Program Coordinator for Committee to Protect Journalists Nicole Schilit. 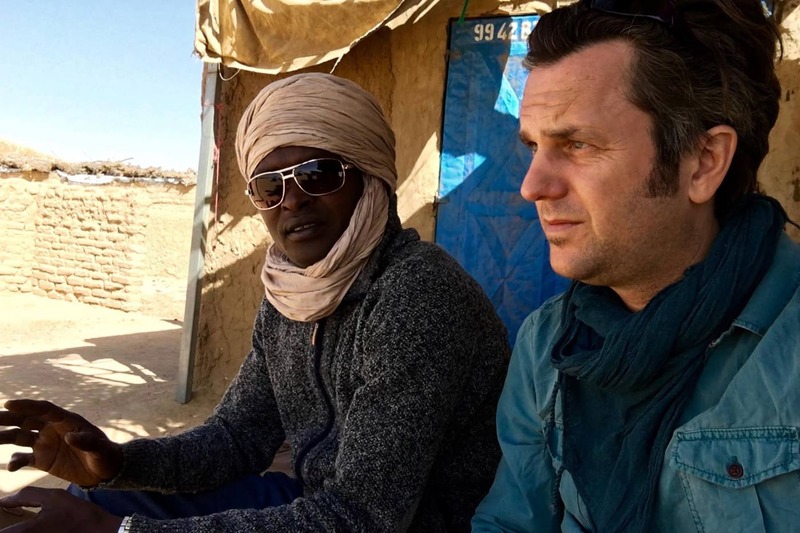 In December 2016, freelance journalist Phil Cox and Darfuri author Daoud Hari were abducted and sold to the Sudanese government while traveling around the country to film an investigation into human rights abuses. Both filmmakers devised ways to survive captivity and interrogations. Finally, after concerted efforts by the UK and US governments, they were released in early 2017. The resulting story tells of an attempt by two driven journalists, one English and one Sudanese, to report in today’s Darfur. Their journey reveals their friendship and commitment to continue filming in the face of great adversity and risk. Through innovative animations and testimonies, this documentary offers an insight into a hidden Sudan where the government hunts independent voices and uses systematic torture and imprisonment on both its citizens and foreign journalists. This great documentary is the first independent report out of Darfur for many years. We are proud to partner with the Committee to Protect Journalists for this event.